What better way to enjoy the bountiful local birdlife than by also learning their Latin names and the meanings behind them? 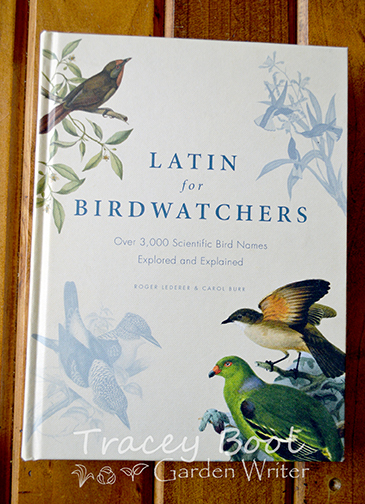 Latin for Bird Watchers lists over three thousand scientific bird names in alphabetical order, including their pronunciation. There are also feature pages throughout covering interesting information about these fascinating creatures and the men and women who dedicated their careers to researching them. This beautiful book is full of illustrated drawings and would make a great gift or addition to the coffee table.